If you are aware of the business of theatres in Kathmandu, you must have, by now, developed sense of how long a show can run. Few theatres—yes, there are only a few theatres in the city–run their shows for one to two months, and they are seen taking a long break between the productions. But, recently, a show has opened in Kathmandu, which the producers claim will run for next five years, every day! The news is surprising enough for play enthusiasts of Kathmandu that Bodhi Chhaaya: Life of Buddha is running for 1,826 days (365 days×5+1 day in the leap year) beginning September 17. 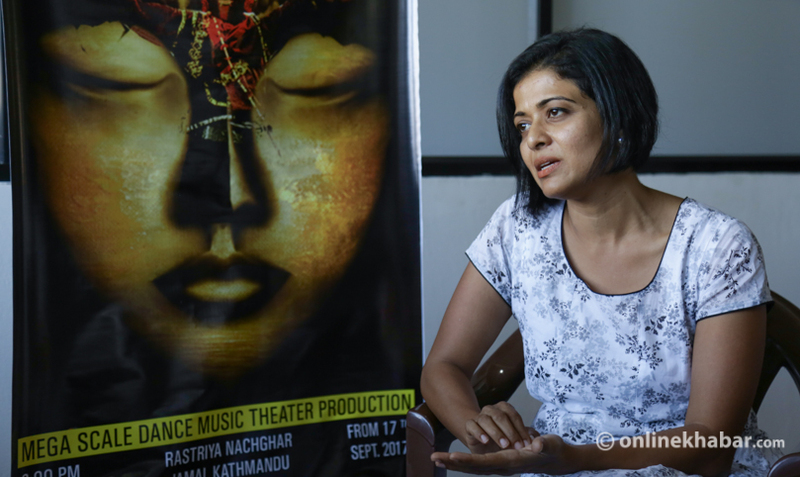 “It may be a new thing for Nepal, but such long shows are in practice in many countries of the world,” says writer and director of the play, Kavita Srinivasan. Because the play will open every evening without a single interval, not even on big days of festivals like Dashain Tika, the producers have hired two sets of cast and crew, comprising 40 persons each. The drama involves 17 traditional dance forms of Nepal. On stage are only dances and mimes; dialogues and narratives, in English, are presented through voiceovers. The biggest auditorium of Rastriya Naachghar, which runs under the management of Ministry of Culture, Tourism and Civil Aviation, has been rented for the period. It has a capacity to house 800 persons once. The show uses high-technology sound and light equipment. The management team has established its office at Naachghar itself for five years and some staffers have to be there to inform visitors about the programme. Everything involves cost so it will not only be the longest-running cultural production in Nepal, but the most expensive cultural event as well. So, what is the exact amount? It suggests the team itself is yet to figure out how much they will spend for the project. In fact, Srinivasan is not the brains behind the mega project. 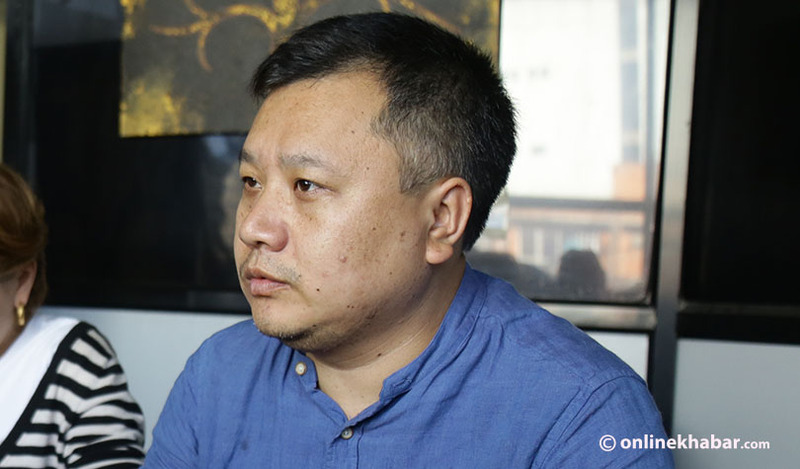 It was Chinese businessperson Xiamba Thilen, who runs travel agencies in Nepal and China simultaneously. “Because tourists visiting a city change every week and month, we hope to find sufficient audience members for the next five years,” Srinivasan says on the fifth day of her show. 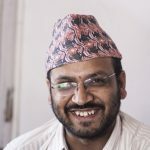 The core production team includes Xiamba, Koirala and Srinivasan. But, all the production cost has been covered by Xiamba alone so far. As an executive producer, Koirala looks after ‘execution’ of the play and other technicalities whereas Srinivasan is the director and her responsibility is apparently not finance, but its artistic presentation. “We want to establish Nepal as a prime travel destination among the international tourist community. We want to promote Nepali culture throughout the world. We want tourists visiting here to get connected with society and culture of Nepal. We want to let the world know what Buddha taught,” he says in response to the question why he is investing such big money for the project that would not earn any substantial profit. So far, he is the only one investor, but he is approaching ‘big’ travel agencies of the country for partnership. “I have already talked with the 10 biggest travel companies of Kathmandu and they are happy to support me to run the show,” he informs. Xiamba has also planned to develop similar partnership models with international airlines operating flights from and to Kathmandu. He has already listed potential partners and is preparing to begin the conversations as soon as possible. Because the play is based on Buddha’s life, it apparently teaches audience lessons of love, compassion, harmony, unity and peace. 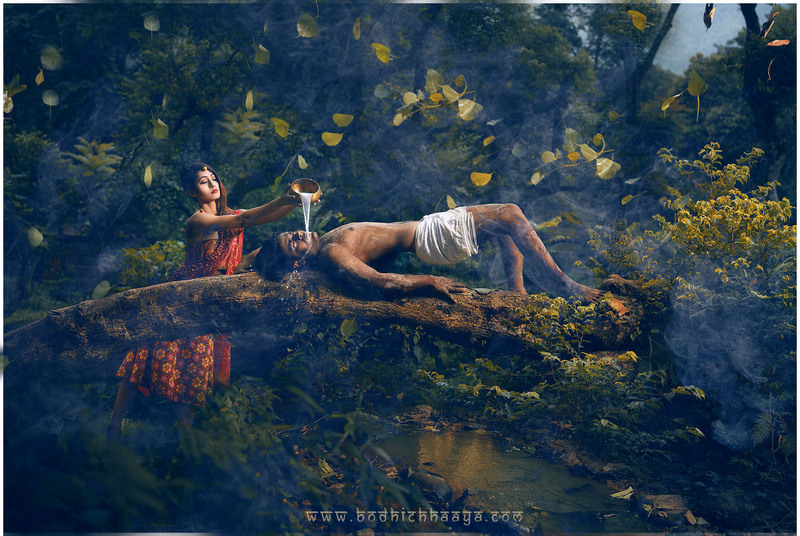 Interestingly, the play also reflects these lessons in its form as well. The play includes 17 traditional dance forms which are specific to different communities of Nepal: Ghatu, Jhumra, Chaliya, Aryatara, Ashtamatrika, Manjushree, Maruni, Thakali, Shyabru, Selo, Lakhey, Sakela, Bhairav, Basundhara, Satar, Panchabuddha, and Lyaku Bhaila. Narration and dialogues are in English, but most of the story is told through dances and mimes so that both Nepali and the foreign audience can equally enjoy it. Moreover, the production team itself is multicultural. Xiamba is from Chengdu of China. Yulia is from Kyrgyzstan, she is ‘Koirala’ just because of her marriage with a Nepali. Likewise, Srinivasan is an Indian actress based in Chennai, but has been living in Nepal after her marriage with a Nepali around 10 years ago. “For next five years, we will be here to make people aware of who Buddha was and what his lessons are,” Xiamba concludes. Meanwhile, we will still have to wait until September 16, 2022, to see if the team meets its ambitious target.